Comm Port Technologies is one of the longest-running US based manufacturer of Under Vehicle Surveillance System (UVSS) / Under Vehicle Inspection System (UVIS) systems worldwide. Our two main technologies are CPAS and FLEX. 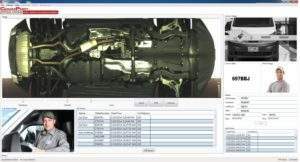 The Comm Port CPAS colour area scanning technology effectively scans and inspects vehicle undercarriages to search and analyse images for suspicious objects, explosive devices or contraband such as drugs and weapons. 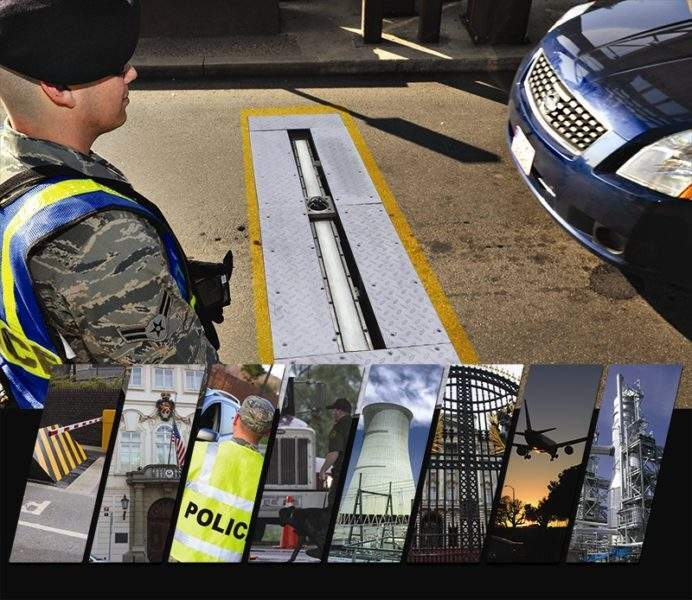 The CPAS proves an ideal system for military, government, corporation and transportation facilities requiring security checkpoints for vehicles such as buses, vans and tractor trailers. 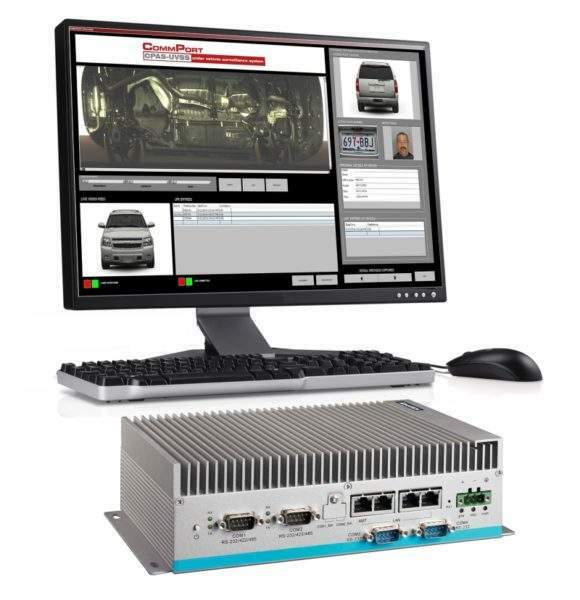 Clients can transmit videos across IP, fibre-optics, coax, or wireless networks and integrate them with driver image-capture cameras and automatic license plate recognition. 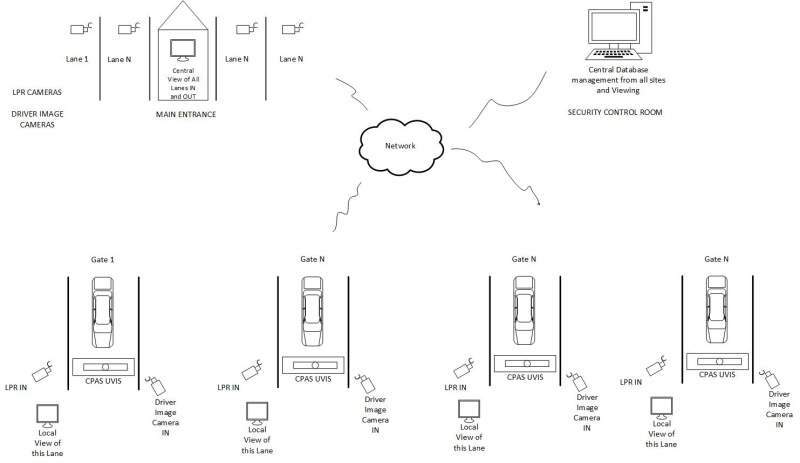 The CPAS system can be configured with motion detection or loop detection to record ‘live’ events. The CPAS enables clients to view images in real-time and full colour for the entire vehicle length, even with vehicles moving up to 75kmph (47mph). 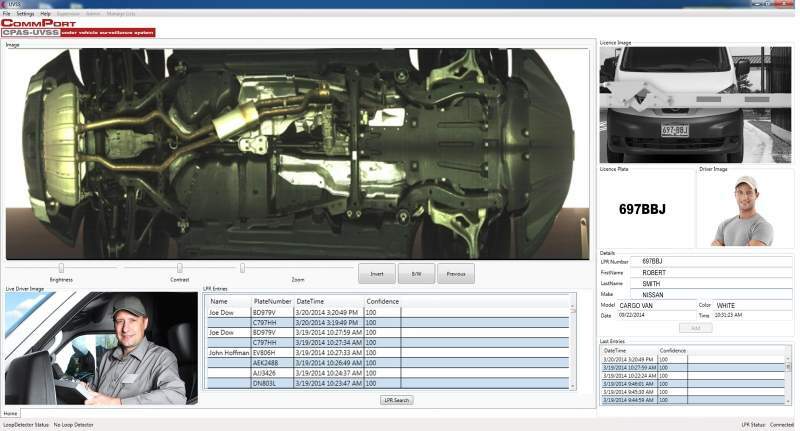 The scanning cameras are available between 400 frames per second (fps) and 900fps. High-resolution and digital colour cameras provide clear and sharp images, and high-intensity, bright white, LED-based lighting shines throughout the vehicle’s undercarriage for high levels of visibility. 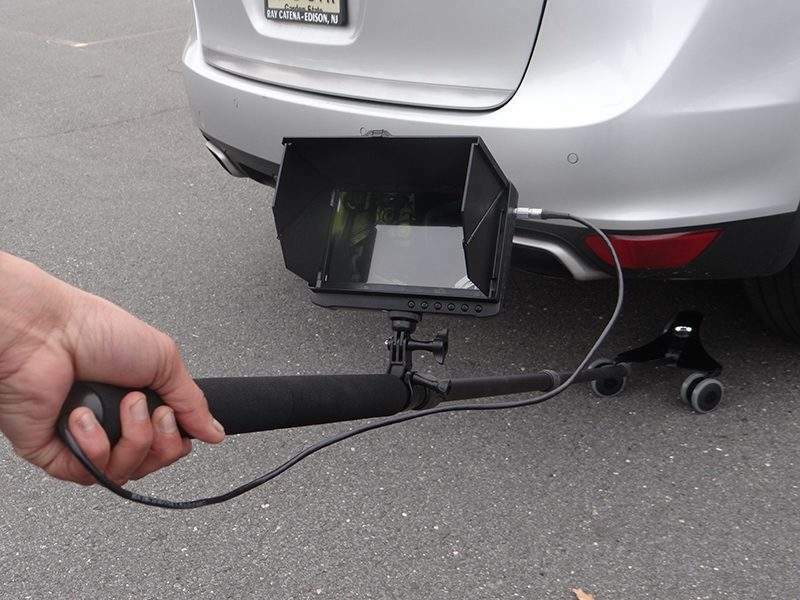 With the full-length light arrangement and specifically designed camera angle, the wheel wells and other under carriage details are easy to capture, removing the need for additional auxiliary cameras for hard-to-view areas. 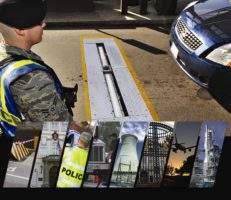 The heavy-duty based plate is constructed from diamond plate material, and the scanner and light arrangement are included in a single package system. Weight bearing is available in a 78t capacity with an optional 110t capacity. The system is resistant against extreme climates, adverse environments and rugged terrain. Lighting and cameras are also encased in tough, weatherproof housings. LEDs provide the ultimate low-heat light source, featuring a typical life of more than 100,000 hours. 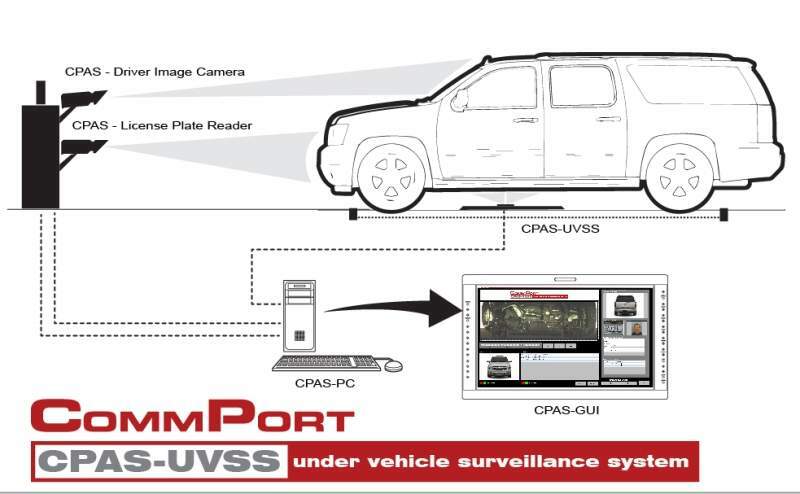 The Comm Port UVSS solution is designed to digitally record, monitor and scan clear, sharp digital video images of the entire width of a vehicle’s undersides, all with one permanent or portable system. 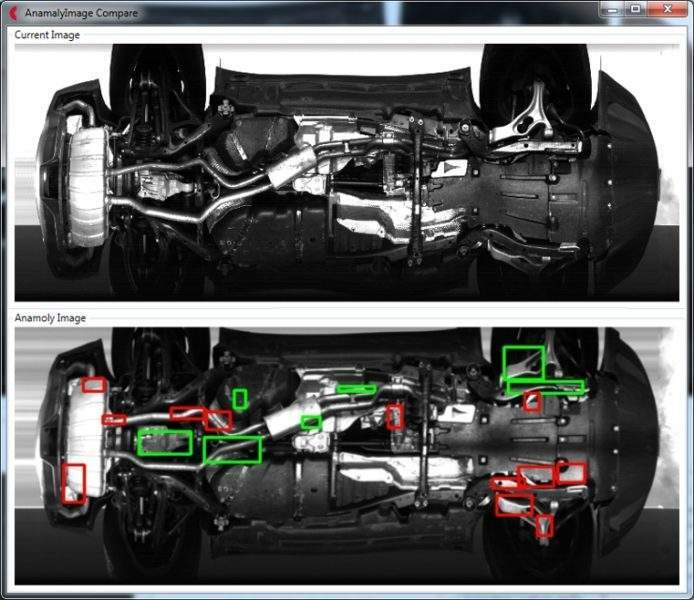 LED illumination and advanced digital camera imaging both provide a high-resolution video of the vehicle’s underside to help detect attached objects such as packages or explosives. For monitoring, images are processed by the digital video recorder that is capable of recording all channels simultaneously and then displaying moving video in the screen. The Comm Port UVSS system includes a complete array of integrated and tested components and accessories for simplified installation, such as the rugged inspection ramp constructed from heavy-duty galvanised steel to withstand up to 78t from stationary or mobile vehicles. 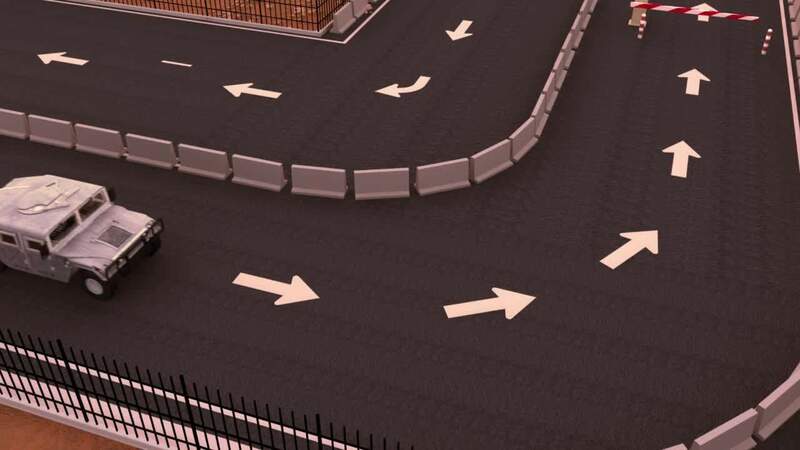 Steel ramp and shoulder sections can be added easily for wider roads or multiple lanes. Ramps can be permanently mounted with a permanent control cabling system or with a portable control system to match portable applications. Each UVSS ramp contains high-resolution, waterproof, colour video cameras. Each camera incorporates a scratch-resistant, sapphire-crystal lens in corrosion-proof housing, and can also be individually angled. Especially designed proprietary lens operate according to the height and depth of any size vehicle, and no adjustment is required for maximum depth. 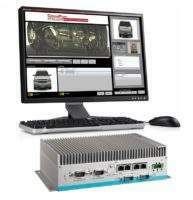 The advanced digital monitoring system can simultaneously output real time video per channel, with no limitations on video channel numbers. 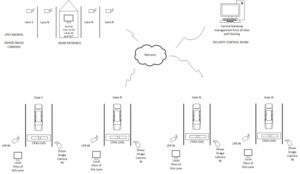 An advanced codec algorithm delivers high-resolution, phase alternation by line (PAL) or national television system committee (NTSC) video. Videos can be stored on a local or network hard drive and events can be stamped by time and date or by ANPR.